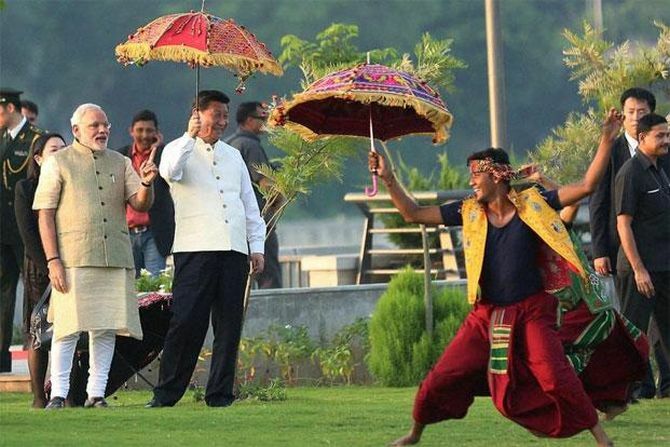 There is a distinctive buzz about Prime Minister Modi’s new campaign for “Make in India”. 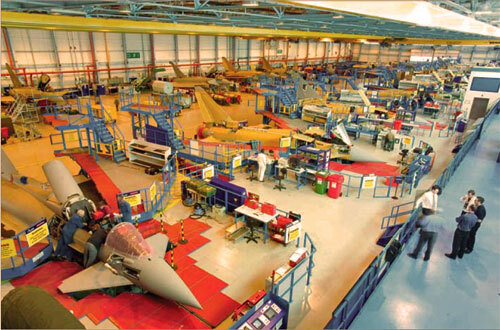 The thrust is to increase share of manufacturing from the current level of 15 per cent of Gross Domestic Product (GDP) to 25 per cent and create additional employment opportunity of ten million per year. This has led a few cynics to observe that, “There is a lot of sizzle but where is the steak?” Columnists such as Swaminathan Iyer are of the view that “Make in India” is only an outcome and not a policy while Governor of RBI Raghuram Rajan is of the view that the government is putting too much of thrust on export-led growth and should give primacy to “Make for India”. Discerning writers such as Debasis Basu however, feel that what is germane to the debate is the “cost of doing business” in India. 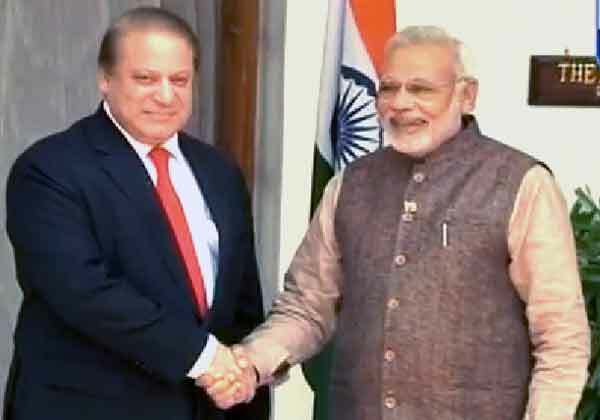 Prime Minister Narendra Modi has literally put his reputation at stake in pursuit of achieving peace with Pakistan. He is motivated by a firm belief that lasting peace will open the doors of unprecedented development for the two nations. …both heads of government were absolutely aware of the flak that they would receive for the initiative. It is to their credit that they went ahead and came out with a bold joint statement. His meeting with Nawaz Sharif at Ufa, Russia, on the sidelines of the SCO Summit, was yet another attempt to break the impasse. The meeting generated considerable discourse in both countries as well as in international fora. It can be safely surmised that both heads of government were absolutely aware of the flak that they would receive for the initiative. It is to their credit that they went ahead and came out with a bold joint statement. During the Second World War the British Army’s operations in Greece ran into near disaster and to save the army, its immediate evacuation by sea became imperative. During this phase of the war, the Atlantic was dominated by the German U boats and the naval commanders assembled for the evacuation of the army stranded in Greece, strongly protested against undertaking this task due to the fear of losing a large number of ships. Admiral Cunningham, Admiral of the Atlantic Fleet told the assembled commanders that, “it takes 300 years to build a tradition and only three years to build a ship. The Royal Navy, as a tradition has never abandoned the army and therefore, it will evacuate the army, irrespective of the losses in ships.” The IAF by staying out of the 1962 war abandoned the Army, when everything was in its favour and created serious misgivings. 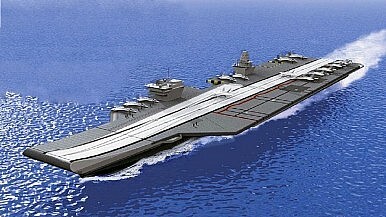 New details emerge about India’s second indigenously built aircraft carrier. India’s second indigenous aircraft carrier (IAC-2), the INS Vishal, the second Vikrant-class carrier, is slowly taking shape. Recently, the Indian Navy outlined the specifications of this carrier in a letter of request issued to shipbuilders worldwide. Many of the details, including the tonnage and the physical dimensions of the carrier, are in line with older expectations. For example, the Vishal will displace 65,000 tonnes—25,000 tonnes more than the first indigenous carrier, the INS Vikrant. The Indian Navy’s Naval Design Bureau clarified other features: the carrier will travel at 30 knots, a hair above the Vikrant, and come in at a length of 300 meters, longer than the 262 meter Vikrant. The Navy’s letter of request also outlines plans for the carrier to field between 30 and 35 fixed-wing combat aircraft and 20 rotary wing aircraft. In many ways, though this carrier will be the second in the indigenous Vikrant-class, it represents a significant upgrade over the first carrier, which was bogged down in delays ahead of its successful undocking in early June 2015. The Vishal and Vikrant, along with the modified Kiev-class Vikramaditya, will form the carrier backbone of India’s Navy, and, with the decommissioning of the INS Viraat, the longest-serving aircraft carrier in the world, the total Indian Navy carrier count will stand at three. KABUL — Earlier this year, Afghan President Ashraf Ghani persuaded U.S. President Barack Obama to slow the pace of a planned withdrawal of U.S. troops from his country by citing the need to prevent a resurgence of the Taliban. But Ghani is now offering a new rationale for keeping American forces in Afghanistan, suggesting that the Islamic State — which has begun to make its presence felt with bombings mainly in the country’s east — poses a potential threat that must be confronted before it spreads. In recent talks with U.S. military commanders, Ghani has referred to the Islamic State as an emerging danger.In recent talks with U.S. military commanders, Ghani has referred to the Islamic State as an emerging danger.And he has tentatively outlined an idea that Afghanistan — with its battle-hardened security forces — could serve as a key long-term partner to stem the Islamic State in the region, American military officers told reporters Sunday. The Chinese intelligence threat is set to change dramatically as hackers believed to be linked to China’s civilian intelligence agency, the Ministry of State Security (MSS), acquired millions of personal records from the U.S. Office of Personnel Management (OPM). Although the full extent of the damage remains unknown, fears have emerged about the compromise of data gathered during security clearance background checks, including foreign national contacts. Security experts are right to suggest this information is a treasure trove for an intelligence service trying to penetrate the U.S. national security community. Such treasure is only as valuable as the motivation to use it and, for the MSS, such information would provide the foundation for a new espionage campaign against the United States and demonstrate its value to Chinese policymakers who have had good reason to be skeptical about what the MSS brings to the table. The OPM data offers a way for Chinese intelligence to focus on Americans that matter rather than relying on the creativity of individual agents to find ways to bridge China’s domestic intelligence base with national security professionals abroad. A suicide bomber attacked a park in the city of Heze in China’s Shandong province on Monday, killing two (including the bomber) and injuring 24, with three people receiving“relatively severe” injuries. 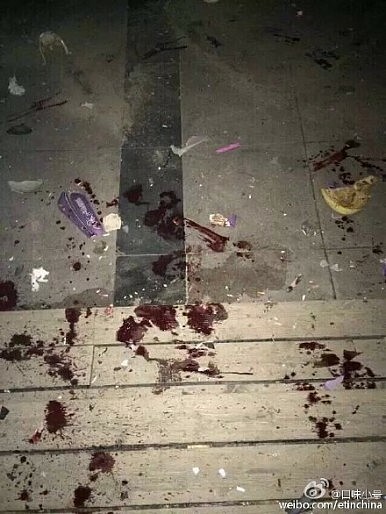 According to the official Weibo account of Heze’s public security bureau, the explosion took place at 10:34 pm local time on Monday at the west gate of Heze’s Huxi park. Heze authorities identified the bomber as Jie Xingtang, a 32-year-old villager from Shan County (where Heze is located). Their Weibo post (cited byPeople’s Daily) described him an unemployed and a long-term sufferer of liver cirrhosis, a condition that has worsened recently according to the Heze authorities. Those explanations were the only hint into Jie’s motives for carrying out the bombing. An investigation into that, as well as how Jie created the bomb, is ongoing. China should avoid unilaterally declaring an air defense identification zone (ADIZ) over the South China Sea in order to help reduce tensions in the area, a leading Chinese scholar said Tuesday. 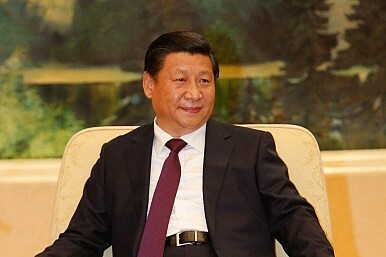 With growing concerns about China’s extensive land reclamation activities and the further militarization of some of its facilities, some have feared that Beijing will soon impose an ADIZ in the South China Sea similar to the one it declared over the East China Sea in November 2013 (See: “How Close is China to Another South China Sea Airstrip?”). An ADIZ, which would effectively broaden Chinese airspace and impose restrictions on aircraft flying through the zone, would be the latest in a string of assertive moves that would strengthen Chinese sovereignty over the area. 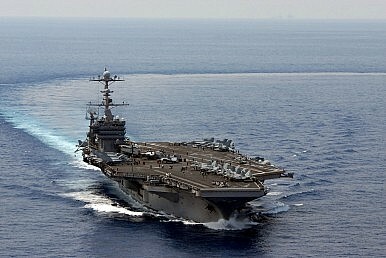 But asked what China should and should not do in the South China Sea, Wu Sichun, head of the influential National Institute for South China Sea Studies in China, told an audience at a think tank conference in Washington, D.C. that Beijing should try not to unilaterally declare an ADIZ. Wu suggested that not doing so would be one way for China to signal restraint and reduce tensions in the South China Sea. China is now the world’s largest importer and consumer of wood-based products. Its booming domestic market is the main driver of growth in imports, though the country is also now the world’s most important timber-processing hub. In 2013, China’s imports of timber-sector products were 94 million cubic meters, more than three times what they were in 2000, while exports were 53 million cubic meters, almost five times what they were 13 years earlier. This shift in global demand has inevitably been mirrored by a change in patterns of supply. 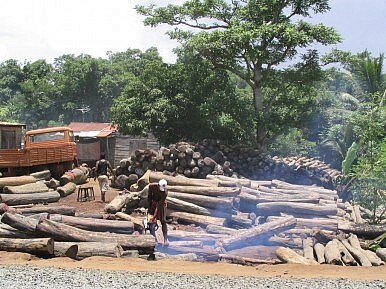 Timber exports from nine key producer countries included in a new Chatham House report nearly tripled between 2000 and 2013, to 32 million cubic meters. Exports to China now make up 23 percent of the combined total from these nine countries, up from 10 percent in 2000. These changes are not just significant for China and its suppliers. They are having knock-on effects throughout the global market. Perhaps most importantly, the increased importance of China means so-called sensitive markets, such as the EU and United States, are less important for producers, and their progressive policies are less influential. As the Chinese government’s clampdown on human rights lawyers and activists in China intensifies, with 233 of them taken into custody since July 10, the international indignation has been countered by apologists of the regime in Beijing who are quite ready to speak on behalf of the 1.3 billion Chinese. But in response to a question by a Chinese participant on perceived U.S. ‘neutrality’ in the South China Sea, U.S. Assistant Secretary of State Daniel Russel firmly clarified at a think tank conference in Washington, D.C. that this neutrality only extended to the competing claims, rather than the way in which the disputes were resolved. 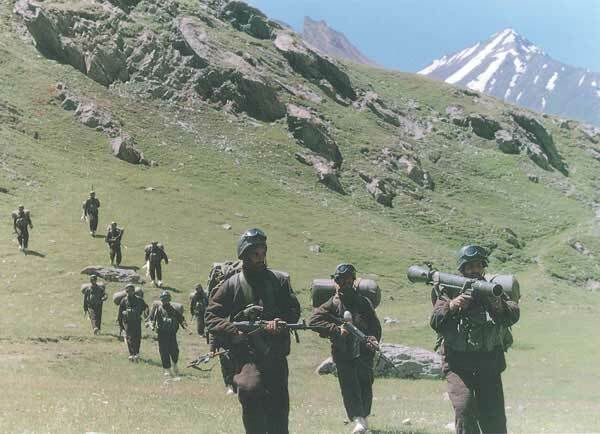 Gilgit, Pakistan - The Pakistani government appears to be cracking down on dissent in Gilgit-Baltistan, a mountainous region of vital importance to Pakistan's alliance with China. Since last October, more than 50 activists have been charged with sedition for calling for greater self-rule in the region, which is controlled by Pakistan but claimed by India. Gilgit-Baltistan, which borders China, Afghanistan, and Kashmir, has not been granted full constitutional status by Islamabad - meaning that it is not an official province, and that its residents cannot vote in national elections. 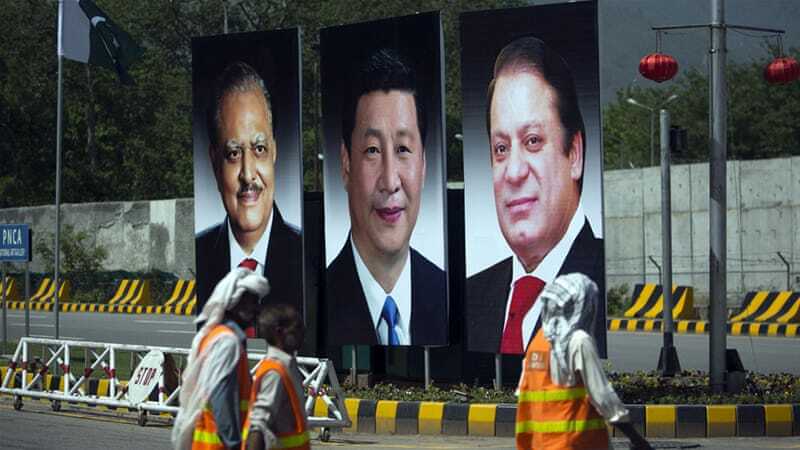 Chinese President Xi Jinping was given a red-carpet welcome when he visited Pakistan this April. As of 2014, China is the world largest exporter and second largest importer of goods. It has trade surpluses with most of its trading partners. In contrast, the United States, the largest economy in the world, has trade deficits with more than 90 countries. In recent years, we can always hear a voice that China is rising while the US is falling. However, I cannot agree with this optimistic view (optimistic from China's perspective). First, using gross trade flow data as the basis of analysis is neglecting the fact that there is an increasing fragmentation of production steps across countries since the 1990's. In the literature, it is called "supply-chain trade". Figure 1 below shows final goods as the proportion of total production and exports in different countries and the world. Only 50% of world production and 34% of world exports are final goods (the green bar represents the world as a whole). In other words, more than half of our exports (66%) are intermediate goods which are used as inputs to produce final goods. Over the past several weeks, revelations that US government databases have been penetrated have been updated with the news that the intrusion is much worse than had been previously thought. It was initially reported that a little over four million current and former US government employees had their records accessed–and that figure rose, then rose again – and again. The most recent report was that the personal information of well over 21 million current and former US government employees, family members, etc, have been compromised. Likewise, what has been stated about the type of information that was accessed has been repeatedly revised – each time in a negative direction. At first the public was told that the hackers had gotten a limited amount of basic personal information on some US government employees, then the extent of the information that was accessed was broadened until it was admitted that a vast trove of highly personal information from security clearance applications were accessed. If you’ve ever applied for a US government security clearance, you know how intrusive the questioning is. All financial information, sexual activities, marital and other family problems, have apparently been compromised on close to 7% of the total US population. The seriousness of the data breach has been indicated by the fact that Office of Personnel Management (OPM) director Katherine Archuleta has been forced to resign. Iraqi security forces and Sunni tribal fighters launched an offensive on Tuesday to dislodge Islamic State militants and secure a supply route in Anbar province, police and tribal sources said. In other action, bomb attacks across the country killed at least 32 people. The deadliest was when a car packed with explosives was detonated in the mainly Shi'ite district of New Baghdad in northeastern Baghdad, killing 16 people and wounding 48. The pro-government offensive tackled Islamic State militants near the western outpost of Haditha in a bid to secure a route to the nearby Ain al-Asad military base. Haditha and its nearby dam are in one of the few parts of the Sunni Muslim province of Anbar still under the control of Iraq’s Shi'ite-led government forces, who were driven out of the provincial capital Ramadi in May.The offensive started with army and police forces backed by Sunni tribal fighters attacking the Albu Hayat area, 20 km (12 miles) southeast of Haditha, police and tribal sources said. WASHINGTON, July 21, 2015 – Muhsin al-Fadhli, a longtime al-Qaida operative, was killed “in a kinetic strike” July 8 while traveling in a vehicle near Sarmada, Syria, Navy Capt. Jeff Davis, the Defense Department’s press operations chief, said today. Fadhli was the leader of a network of veteran al-Qaida operatives, sometimes called the Khorasan Group, who are plotting external attacks against the United States and its allies, Davis said in a statement. He was a senior al-Qaida facilitator who was among the few trusted al-Qaida leaders who received advance notification of the Sept. 11, 2001, terrorist attacks on the United States, Davis said, and also was involved in terrorist attacks that took place in October 2002, including against U.S. Marines on Faylaka Island in Kuwait and on the French ship MV Limburg. His death will degrade and disrupt ongoing external operations of al-Qaida against the United States and its allies and partners, the captain said. This is not in the cards. Edelman and Takeyh made their case as though the accord were between Iran and the United States. Nowhere do they take into account that it is a multilateral agreement, reached with not only America’s allies (France, Germany, and the United Kingdom) in the P5+1 negotiating team, but also China and Russia. Iran conceded as much as it did in the accord because sanctions and pressures on it are international in nature, and not just the result of American policy. In my Post colleague Charles Krauthammer’s May 21 op-ed column, “You want hypotheticals? Here’s one,” former Saudi Arabian intelligence chief Prince Turki al-Faisal was quoted approvingly as complaining: “We were America’s best friend in the Arab world for 50 years.” Note the past tense. If my arithmetic is correct, that would date the beginning of Turki’s cherished Saudi-U.S. relationship to 1965. But “best friend”? America’s back was turned in 1973 when Saudi Arabian-led oil producersimposed an embargo against the United States in retaliation for U.S. military support of Israel in that country’s 1973 war with Egypt and Syria. America’s “best friend” instigated a doubling, then a quadrupling, of the price of oil. Our good buddies in the Middle East watched as long lines formed at U.S. filling stations and consumer costs skyrocketed. The Saudi monarchy showed no regret as the pain it inflicted on the U.S. economy set in. Is It Possible to Defeat ISIS Ideology With Committee Reports? While it is unclear whether their statements were coordinated, on Monday the governments of the United Arab Emirates and the United Kingdom — allies in the fight against the Islamic State — announced measures designed to combat the extremist ideology of the organization. Speaking in Birmingham, England, Prime Minister David Cameron pledged to defeat the “poison” of Islamic State ideology through a varied campaign, which includes tackling segregation and championing liberal values. Meanwhile, the Emirati government announced that stoking religious hatred is now considered a criminal act, punishable by a 10-year prison term andperhaps even execution. Taken together, the divergent approaches offered by the two measures illustrate the enormous challenges governments face in combating something as nebulous as an ideology. In his address, Cameron offered a broad defense of liberalism, referring repeatedly to the need for an amorphous “we” to stand up to conspiracy theories and hatred and to promote liberalism as a key part of the effort to combat the Islamic State. The main thrust of Cameron’s speech was that no one “becomes a terrorist from a standing start,” meaning that radicalization is a process — and a gradual one at that. The key, then, according to Cameron’s announcement, is in fighting intolerance early on — though the prime minister offered few concrete details on who in the United Kingdom would be fighting this battle for liberal values and tolerance and how. A struggle is underway for the heart and soul of Islam. At its core is a question of credibility. What is the “true” Islam? Who are the “real” Muslims? Lessons of the past tell us that religions are open to interpretation, that the history of religion is one of contests for power and, the old truism, that the victors write history. Right now, peaceful Muslims, as the majority, determine the mainstream credibility of Islam as a religion for peace. But this could easily change. Moderates need to push for their view of Islam so the extremist view does not prevail. Australians also need to be made aware that Islam is as complex a religion as Christianity and its history is no less intricate. This is not just about Australian Muslims striving to represent their version of Islam, but about Australian non-Muslims making the effort to look beneath the surface of shallow representations of Islam. Much of the criticism of the proposed nuclear agreement with Iran has focused on the fact that it would allow conventional arms transfers to Iran in five years if Iran fully complies with all other aspects of the agreement. In practice, this does not obligate any country to sell arms to Iran, nor does it affect U.S. and European constraints on arms sales. 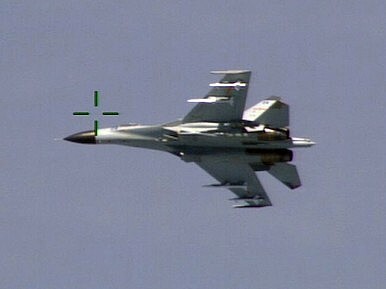 It could, however, lead to significant arms sales on the part of Russia and China, and potentially other states. Iran badly needs to modernize its aging air force, surface-to-air missile defenses, and many other elements of its weapons systems – as well as acquire the technology for a wide range of new sensors, intelligence, surveillance, reconnaissance and other improvement in its war fighting capabilities. It is important, however, to keep such risks in perspective. Iran is already able to exploit a large network of purchasing offices and cover organizations to buy critical technology, parts, and other military equipment. It takes time to absorb arms transfers even when they come, and Iran faces a massive backlog of obsolescence, worn systems, patchwork improvements, and awkward efforts at systems integration. WASHINGTON (Reuters) - The U.S. government on Tuesday imposed sanctions on three leaders of the militant group Hezbollah and a businessman in Lebanon, saying they were key players in the group’s military operations in Syria. “The United States will continue to aggressively target (Hezbollah) for its terrorist activities worldwide as well as its ongoing support to (Syrian President Bashar al-) Assad’s ruthless military campaign in Syria,” said Adam Szubin, the Treasury Department’s acting under secretary for terrorism and financial intelligence. Why Hunger and Thirst Don't Have to Doom the World. In May, the United Nations announced that while globally there are 200 million fewer hungry people than there were 25 years ago, twice as many African countries are now suffering food crises. Moreover, Pacific islanders’ access to sanitation facilities is declining, and just over half of that population has potable water. When it comes to the world’s food and water, the question remains of power and agency—who gets to control the resources on which human survival depends. Former U.N. special rapporteur Olivier De Schutter challenges the agency’s claim on hunger, stating that numbers, if anything, have remained steady and explains why local responses, not solely international actions, will defeat hunger. Charles Fishman, author of The Big Thirst, asserts that slaking a parched planet requires collective pragmatism, even cooperation among adversaries. Climate change demands that humankind be nourished more sustainably; figuring out whose responsibility this is won’t be easy. But it is crucial. Summary: Here Stratfor discusses one of the big economic and geopolitical questions about the Iran deal, much more important the deal’s effect on Iran’s conjectural nuclear program (30 years of a nuke coming really soon). Low prices have depressed the economies of key nations such as Russia and the Gulf States (plus oil-producing areas of the US). If new oil from southern Iraq and Iran depresses oil prices even more we might see some shocks of a kind unimaginable in the heady days of $100 oil. The nuclear agreement between Iran and six world powers will naturally have consequences for global oil markets as Iran, the world’s third-largest oil producer before the Iranian Revolution, eventually exports more oil. Prior to the implementation of sanctions in 2012, Iran was a major crude oil and condensate exporter to Asia, Europe and others — in fact, exports totaled 2.6 million barrels per day in 2011. Today, that figure has fallen by almost 600,000 bpd to Europe and another 600,000 bpd to Asia. Iranian exports now hover closer to 1.4 million bpd, 1 million bpd of which is crude oil. The July 14 deal paves the way for sanctions to be relaxed by early 2016, enabling anyone to buy oil from Iran. While Iran maintains that it can increase oil production by 500,000 to 600,000 bpd within one month of the removal of sanctions and increase exports to 2.5 million bpd within three months, Stratfor sees these figures as overly optimistic. Iran does, however, have at least 35 million barrels of crude oil and condensate in storage that it could use to increase exports in the interim before its oil production rises again. 2016, consequently, will likely be another year where a healthy oil supply tamps down any oil price recovery. There are, of course, potential obstacles to passing the deal, both in the United States and Iran. In the United States, President Barack Obama is preparing for a fight with the Republican-controlled Congress, which could reject the deal. Congress has a 60-day review period to approve, disapprove or do nothing with the deal, in which case the agreement would go into effect. Obama has said he will veto any rejection of the deal, and Congress would find it quite difficult to assemble the two-thirds vote in the House and Senate needed to override the presidential veto. Obama cannot lift sanctions or issue presidential waivers allowing countries and companies to skirt the sanctions during the 60-day review period, only after. The European Union, Japan and South Korea, meanwhile, can remove sanctions more quickly, most likely giving companies from these countries an advantage in investing in Iran. In Iran, the parliament is interjecting by demanding a full removal of sanctions upon the deal’s signing. Supreme Leader Ali Khamenei and his security council, however, probably have the authority to block the deal. But President Hassan Rouhani and Foreign Minister Javad Zarif likely would not have reached this stage of the process without Khamenei’s blessing. Once the supreme leader has backed the deal, or at least failed to block it, most of the rest of Iran’s politicians should fall in line and stop seeking to halt its implementation. Assuming Washington and Tehran avoid their respective obstacles, sanctions relief could happen by the first quarter of 2016, if not the end of 2015. EU and U.S. sanctions are to be simultaneously suspended once the International Atomic Energy Agency (IAEA) issues a final report that Iran has implemented the terms agreed to under the nuclear deal. The IAEA draft report could come by Dec. 15. The IAEA Board of Governors, which has meetings scheduled for Nov. 26-27, 2015, and March 7-11, 2016, will then vote on whether to adopt it. If the board adopts the report, sanctions would be suspended. Markets could have indications as to how the IAEA inspections went as early as mid-December. We expect sanctions relief by the first quarter of 2016 (again, assuming domestic opposition in the United States and Iran is overcome), allowing Iran to renew exports. Iran will begin preparations to bring mothballed fields back online prior to sanctions relief so it can resume exports immediately. But once fields are taken offline — especially for an extended period — they cannot all be brought back online at maximum capacity without new investment. It is unclear how well maintained these fields are and what, if any, damage to infrastructure, equipment and reservoirs occurred during the shutdown process. While not nearly as technologically proficient as its Western counterparts, the National Iranian Oil Co. is not inept, and it likely shut down its most mature fields with lower levels of production and higher operating costs first. It is difficult to ascertain how much production capacity Iran actually has, and how expensive or difficult it will be to bring mature, largely inefficient fields back online. All of this uncertainty has created wide-ranging expectations of how quickly production will increase. Dealing with aging oil fields is not a new problem for Iran either. Even prior to sanctions and the exodus of Western companies, Iran had been in the process of injecting gas (along with other methods of enhanced oil recovery techniques) to maintain pressure in the reservoirs to slow the natural decline rate of these fields, often rising as high as 10 percent annually, helping to maintain production levels. But even when Western companies were still there, Iran failed to meet its targeted injection rates. How quickly Iran can drill new wells and build new injection facilities before sanctions relief occurs, then, is unclear. It is one reason Stratfor is suspicious of short-term optimism regarding Iranian production. Yet while sanctions were in force, Iran did not totally abandon the development of new oil and natural gas fields. At times with Chinese assistance, Iran has been developing the massive South Pars natural gas and condensate field. (Condensate is a low-density mixture of hydrocarbon liquids that coexist with raw natural gas deposits in many natural gas and oil fields.) Over the past few years alone, 120,000 bpd of condensate production has come online, a figure projected to increase in 2016. Condensate production is becoming a more substantial percentage of Iranian petroleum production. All told, new condensate production could easily add 100,000 to 200,000 bpd to Iranian oil production in 2016 with Iranian crude oil production separately increasing by as much as 300,000 bpd by the middle of next year depending on when the IAEA actually adopts its report. Whether crude production in fact reaches that level depends on how much Iran prepares before sanctions end, and we fully expect lower production figures. As more injection wells are put into operation and new wells are drilled, Iran’s oil production capacity could increase even more by the latter half of 2016 — perhaps even returning close to pre-sanction levels (an increase of about 750,000 bpd over current levels) sometime in 2017. However, oil exports may well exceed oil production capacity. Iran has stockpiled substantial volumes of petroleum, a little more than half of it condensate, in tankers offshore and onshore storage tanks for the last few years. Stored Iranian crude oil, which totals 35 million barrels, could quickly be sold. Iran, though, is unlikely to flood the market with this oil storage right away, opting instead for sustained exports as production capacity comes back online over the course of 2016. Finally, Iran’s oil exports will affect global energy markets and the countries in them. Renewed oil exports in 2016 will continue to keep global oil prices down, ensuring less risk to prices. 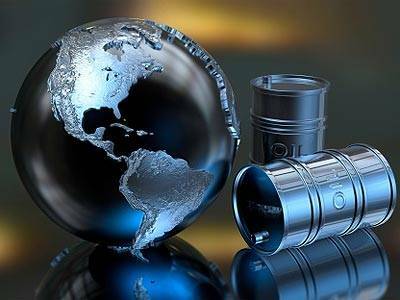 Subsequently, countries suffering from low oil prices, such as Venezuela, will continue to be battered. North America will be affected as well. Expensive producers will continue concentrating on their most efficient operations, hampering supply growth and cementing previous production declines in the United States. This is Part 1 of a two-part analysis on energy implications of the July 14 nuclear agreement between and Iran and six world powers. This focuses on the short-term effects of Iran’s return to the global oil market while Part 2 focuses on the longer term. ISIS has become the subject of intense debate. Is it a "death cult" defined by extreme barbarity and a 7th century view of Islam? Is it the successor to al-Qaeda, a media-savvy transnational terrorist movement propagating a new-and-improved "Jihad 2.0"? Is it a confederation of groups opposed to the Iraqi government, with primarily regional goals? Is it one side in a Sunni-Shiite version of Europe's ghastly Thirty Years' War? Over time, I've come to believe that Islamic State (IS, also known as ISIS and ISIL) is more than any of these things. In my view, ISIS is fundamentally a state-building enterprise. Simply put, the Islamic State is, or is on the verge of becoming, what it claims to be: a state. I know this assertion is controversial, given that international leaders have been eager to deny ISIS the legitimacy of statehood. I understand the political logic - or, if you prefer, the propaganda value - of that standpoint. CAN U.S. COURTS STOP CHINESE CYBERSPYING?